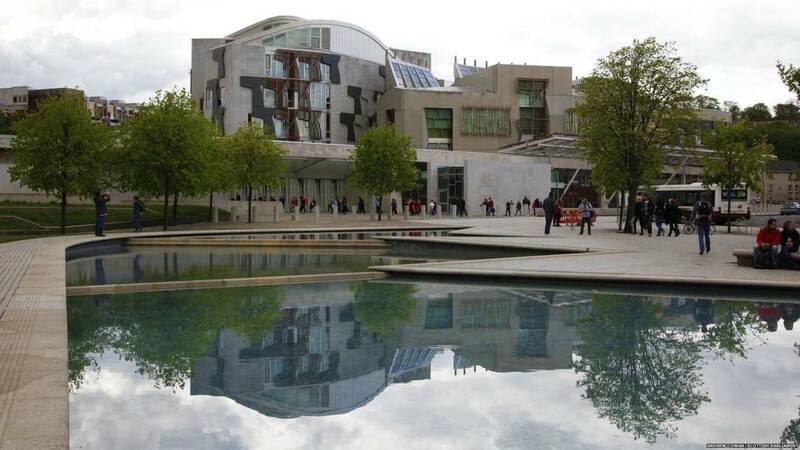 That's all from Holyrood Live on Tuesday 5 March 2019. Scottish and Welsh politicians joined forces to urge the prime minister to change her position on Brexit. The Scottish Parliament and the Welsh Assembly voted to pass identical motions calling for the planned exit date of 29 March to be put off. MSPs and AMs also reiterated their opposition to the UK government's plans and to leaving the EU without a deal. MSPs backed the first minister's motion on EU withdrawal negotiations, with 87 MSPs backing it, while 29 voted against and with one abstention. Ms Freeman says the specialist centres offer a range of treatments, which are considered on a case by case basis. The staff at these specialist centres are highly trained and the clinicians are continually developing new skills, she adds. The health secretary says there is a process to go through to ensure skills are learned across borders and she insists it is not her decision what clinical practice or clinical learning should take place. "My job is, that where that is considered by those clinicians to be the right thing to do, my job is to help make that happen." She adds: "I have not refused an invitation from Dr Veronikis." Nobody needs to implore or beg me, Ms Freeman says, adding she understand the women involve want the right response which may require full mesh removal. Last September we reported that Scotland's health boards had been ordered to "immediately" halt the use of vaginal mesh implants in surgery. The controversial implants were listed as an underlying cause of death of a woman in August, sparking calls for an inquiry and an outright ban. Health Secretary Jeane Freeman said NHS boards had been told to stop using mesh in cases of pelvic organ prolapse and stress urinary incontinence. This will continue until a new "restricted use protocol" is drawn up. What's the issue with mesh implants? Health Secretary Jeane Freeman recognises women suffer a considerable amount of pain and a deterioration of the quality of their lives due to mesh implants. Ms Freeman praises the tireless work of the Mesh Survivors Group and fellow MSPs who have campaigned on this issue. "I remain convinced my decision to halt the use of transvaginal mesh for pelvic organ prolapse and stress urinary incontinence was and remains the right one. "I am also convinced that a great deal of the evidence to make that decision came from the women themselves." She says: "Let me repeat full mesh removal is available in Scotland and photographic evidence is used in that procedure." The health secretary accepts there is dispute around this and pledges to show the evidence she has to support that to Neil Findlay, Alex Neil and Jackson Carlaw, the main mesh implant campaigners. In September two patient representatives quit the independent review group looking at the safety of mesh implants. Olive McIlroy and Elaine Holmes, who both suffered severe complications following mesh implant surgery, claimed the final report had been watered down. It followed claims that an entire chapter had been removed from the report ahead of its publication. The then Health Secretary Shona Robison said she would meet with the women to discuss their concerns. Lib Dem MSP Tavish Scott tells the chamber about Bobbie, a woman who lives in Shetland and has suffered from the impact of a mesh implant for 20 years. Women with the implant face both physical and psychological pain. On the latter, he questions why patients are sent to the same doctor in the same the hospital where the procedure was undertaken. We need some leadership from the government, Mr Scott concludes. Green MSP Alison Johnstone begins: "I'll never forget meeting the mesh survivors who came to the parliament in 2017." Ms Johnstone says the women shared the personal impact of mesh implants and their stories cannot fall on deaf ears. She insists, in relation to bringing Dr Veronikis to Scotland, "we must act". "The Scottish government must step in and help." Tory MSP Miles Briggs says we need to make sure the Scottish NHS can build the capacity to achieve full mesh removal. He hopes the cabinet secretary will respond to Dr Veronikis's positive offer at the end of the debate. We need to see significant improvements in how we provide help to mesh victims and families, he insists. SNP MSP Alex Neil says everyone in this chamber is united to make sure the NHS does the right thing by these women whose lives have been so blighted by mesh implants or devices or both. Many of these women believe that the only way forward is to remove the mesh, Mr Neil adds. The former health secretary says for many women the removal of the mesh is the last chance saloon to improve their health. The SNP MSP tells the chamber of the pioneering work of Dr Dionysios Veronikis on full mesh removal. Whether Dr Veronkis operates in Scotland or not, the important thing is he trains Scottish surgeons in the new techniques, Mr Neil insists. Campaigners are calling on the Scottish government to allow Dr Veronikis, who has successfully removed hundreds of implants, to be allowed to operate on Scottish women. Irish mesh campaigner Mary McLaughlin was operated on by Dr Veronikis in January after paying about £5,000 for the procedure. She said it had transformed her life. "I don't like the word miraculous but the day after surgery I was able to stand up and was able to walk with a normal gait to the bathroom," she told the BBC's Good Morning Scotland programme. "Since then I wake up every morning to see if the pains in my legs come back and they don't. "There is no longer a wobble when I stand up, I can bend down to get stuff out of a cupboard which I couldn't do and I am driving again, which i couldn't do." Dr Dionysios Veronikis has developed "pioneering methods" which allow mesh implants to be removed carefully and in one piece, Mr Findlay says. He highlights the Scottish patients who were sent to a London doctor, Dr Suzy Elneil, to have mesh removed previously, but her lists are now closed. Registration is not a barrier to Dr Veronikis coming here the Labour MSP insists. He suggests the money set aside for waiting times reduction could be used to cover his costs, given the women have been waiting years for treatment. Mr Findlay highlights Irish mesh campaigner Mary McLaughlin underwent successful surgery under Dr Veronikis two months ago and is now well enough to join the public in the gallery today. I don't beg government ministers ever, but I implore you to do the right thing he says. Campaigners have called for a specialist surgeon from the US to be allowed to help people with problems caused by vaginal mesh implants. Hundreds of women say the procedure has ruined their lives. Dr Dionysios Veronikis has offered to come to Scotland and operate on women who have suffered severe pain since the implants. The Scottish government said it was open to discussions with health boards on the funding of additional training. Labour MSP Nel Findlay says for the last seven years he has been campaigning alongside women who have suffered due to mesh implants. Mr Findlay adds: "Some of these remarkable women are in the gallery tonight and I salute your determination to be here today." Mr Findlay says there is now finally hope for these women and they are rightly calling for it to be fulfilled. "They want and expect full mesh removal." "The reality is that full mesh removal is not available in Scotland." Labour MSP Neil Findlay will now lead a member’s debate expressing disappointment that the government has apparently declined the offer from a mesh implant removal expert from St Louis to come to Scotland. Dr Dionysios Veronikis, an obstetrician-gynaecologist, had offered to help remove transvaginal and other mesh implants from people in Scotland and to train other surgeons how to do this safely. Mr Findlay will urge the government to reconsider their decision and accept the offer of help. MSPs have backed the first minister's motion on EU withdrawal negotiations, urging the UK government to take no deal off the table and delay Brexit. 87 MSPs backed it, while 29 voted against and 1 abstention. The Scottish Tory amendment is defeated by 29 votes for and 89 against.